In our environmental flyer you can find out why we want to do something for the environment. Here you can download our logo. Use only for agencies, press, newspapers or similar. Free use and can only be used in conjunction with TIPP OIL. Here you can download our emblem. Use only for agencies, press, newspapers or similar. Free use and only usable in combination with TIPP OIL. 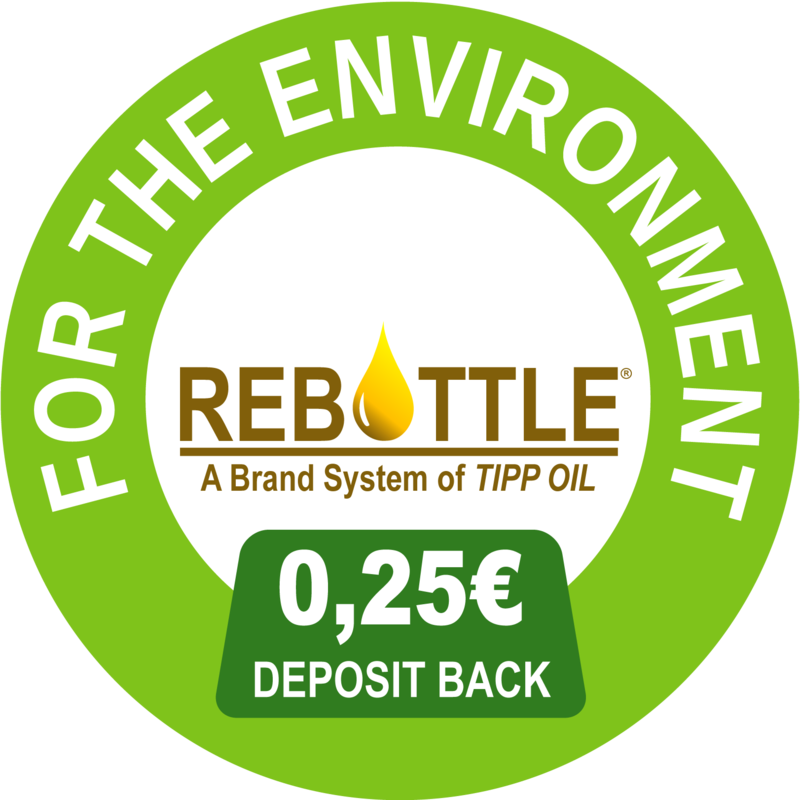 Here you can download our REBOTTLE logo. Use only for agencies, press, newspapers or similar.